Made of cast iron. 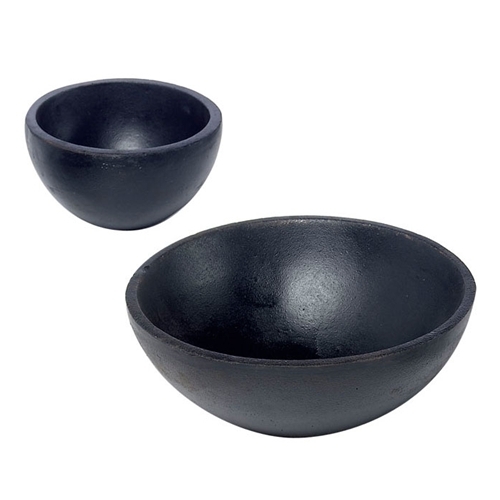 The 5" diameter bowl holds up to 2 lbs. of pitch, and the 8" diameter bowl holds up to 4 lbs. of pitch (not included). Use ring pad for stability, see "Related Products" below.